lined up behind the centermen. On the whistle the drill starts , the back checker starts on the coaches command. 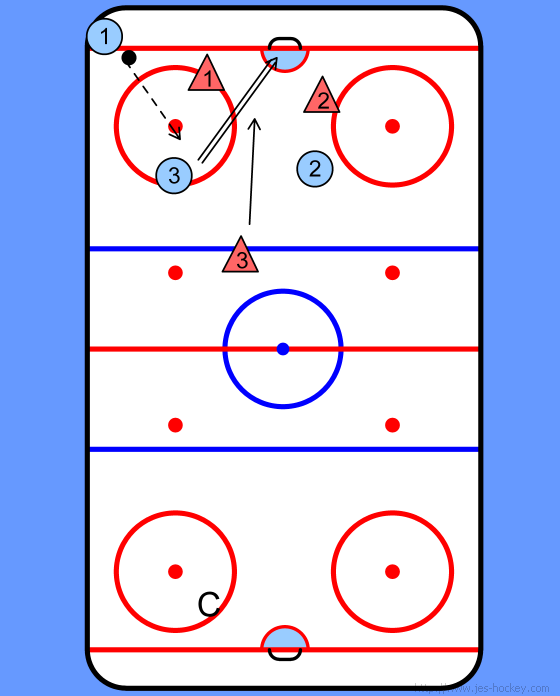 Start the break out, pass the puck, criss cross attack the neutral and offensive zones with speed. coming back to help out the defence. Once the back checker arrives it's now a 3 on 3 battle. 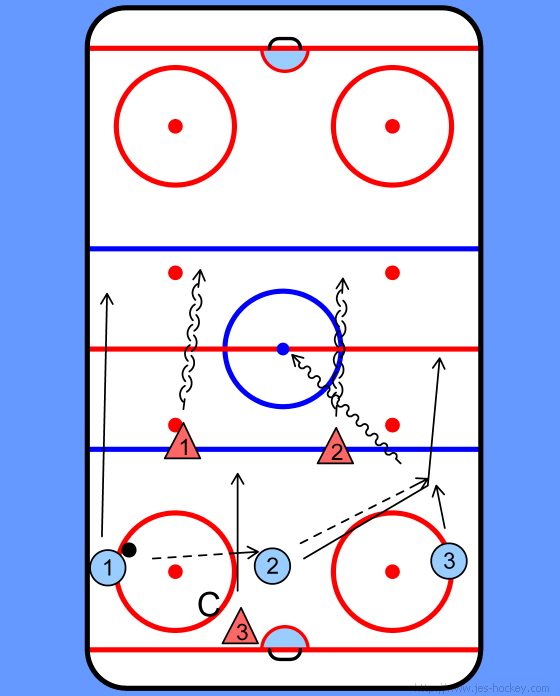 Play this out until the puck is either cleared or a goal is scored.